While not as widely adopted as in the US, Europe, and Japan, there are some options for making payments online for purchases made online in Latin America. You can use PayPal or Xoom to deposit funds directly into banks in Latin America and most banks already offer person-to-person bank transfers. But for online shopping, MasterCard MasterPass only entered the Brazilian market in December 2013. Then you can pay for items bought at the mighty Argentine online auction site MercadoLibre, literally meaning “free market”. MercadoLibre is almost one-fifth owned by eBay and is available in many other Latin countries under variants of that name. It uses the Mercado Pago payment system that is also available to other online retailers. And then there’s SafetyPay, a Miami Beach, Florida-based company that has lots of banking and retail partners in Latin America. Its offering is quite different from one might expect in more developed nations. SafetyPay works in the US, parts of Europe, Colombia, Brazil, Peru and Mexico. You can use it to pay for airline tickets at Despegar.com (that means “take off” in Spanish), Peruvian Airlines, Avianca (a Colombian airline) and KLM. It can be used to buy clothes and fashion accessories at Privalia, which operates online stores in Brazil and Mexico. You can use it at Groupon in Brazil. Now you can even buy stock with it: the Startup Stock Exchange located in the Dutch protectorate of Curaçao, a bastion of capitalism off the coast of socialist Venezuela, accepts payments from SafetyPay from people wanting to place a stake in bright new companies. SafetyPay offers certain advantages in cultures where people often prefer cash and there are logistical difficulties. Credit and debit cards issued in one country often do not work in another. In the event that they do work, you have to pay currency exchange fees and perhaps might not get the currency market conversion rate from the bank or retailer (meaning they seek to profit from that as well). Any European or American who has used American Express or their bank debit card outside their home country knows that card providers and banks charge a stiff foreign exchange fee when you use them in a country which uses a different currency. It adds that they charge a foreign exchange fee, but at least the buyer knows whether they are getting the market exchange rate at the time of checkout and do not have to wait until their bank statement arrives to determine that. Much of this does not matter as most people are going to be buying from online merchants in their own country using their own currency. There is not a lot of cross-border e-commerce in Latin America, aside from buying airline tickets. One reason for that is there is no widely used, efficient, low-cost continental-wide delivery service like FedEx, DHL or UPS, so shipping charges would be high. Neighboring countries too are often at odds over different issues (for example, Bolivia and Chile over access to the ocean), making cross-border transactions even more complicated. Chief technology officer Antonio Rolando explains how the SafetyPay system works. At the merchant site, when you check out, you can select SafetyPay as a payment option. The site shows you the purchase price and the transaction number. Then you pick your bank from the drop-down list. When you press the payment button you are directed to login to your bank’s web site. There you enter your currency, the transaction ID, transaction amount and the account you want to use. That account could be checking or debit, line of credit or a credit card. The system is secure, because SafetyPay does not store any customer bank account or credit card information. The banks in the countries where SafetyPay operates generally have some kind of two-factor authentication, which is a combination of token, email or text message that is more secure than a simple user ID and password alone. If a hacker steals a user ID and password, they cannot log into the victim’s bank and empty accounts because they do not have the necessary token. Regarding security, Rolando says that in each country the level of security is different. Mexican law says online bank accounts must use a token. In Peru, banks send a text message to the user’s cell phone as part of the authentication process. In Brazil, there are different processes including physical tokens and even blocking transactions from suspect IP addresses. Colombian banks tend to use tokens. One SafetyPay feature that foreigners will find different, and some could even find intrusive, is what happens when a card is declined or there are insufficient funds. In that case someone from a call centre at SafetyPay calls the card holder to offer the chance to pay with cash. The card holder goes to the bank and buys a voucher which they can then use to complete payment at the online merchant. Doron says this is often the case with people who have no credit left on their credit card but have cash. Banks have an incentive to sign up, because they earn revenue from these transactions which is split between SafetyPay and the Bank. The fee is 50-60 %of traditional credit card fees, plus the bank saves money because they do not have to pay association fees with MasterCard and Visa. As with credit cards, the merchant pays this fee and not the consumer. Brazil is generally fairly advanced with regard to e-commerce. SafetyPay is operating there but Mastercard’s recent MasterPass debut is interesting. It is branded as a true digital wallet, meaning a cell phone app that supports credit cards, bank accounts, gift cards, coupons and loyalty cards. 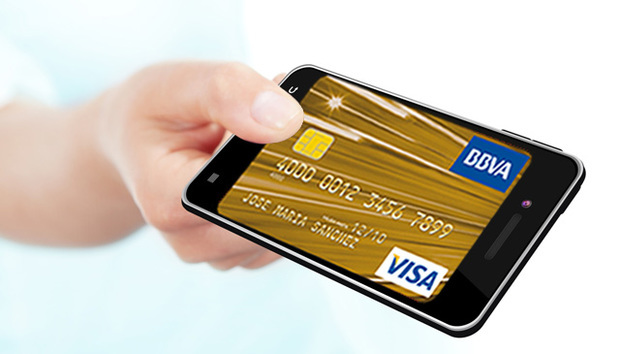 Its app supports NFC (Near Field Communications) contact-less payments and QR codes. Mobile Payments Today reports that the online merchant Girafa has signed up and the online payment processor maxiPago will accept MasterPass. As of December 2013, Google was currently looking on LinkedIn for employees to work on its Google Wallet product in Brazil, but there is no widespread adoption of the search giant’s mobile payment system in Latin America. For those who have been following the market in the US where there is fighting between the cellphone providers, traditional credit card companies and cell phone manufacturers over standards and turf, Google Wallet is not doing well either. For example, Verizon and AT&T have pushed back on the requirement that NFC-equipped phones have a secure element chip to encrypt communications. Also, not all phones have NFC chips, including the iPhone 5, and no one technology, standard or company has emerged as the dominant player in payments by cell phone. Certainly there is the potential for growth in Latin America in the online payments market as more and more consumers have smartphones and there is certainly room to experiment with different types of offerings. SafetyPay is doing just that, although its leaders would not call it experimenting, since they appear to be in the market to stay. Walker Rowe is a US citizen living and working in Santiago, Chile. There he edits the online magazine SouthernPacificReview.com and is currently writing a book about the pollution of the coast of Chile.